Atlanta City Council members Natalyn Archibong (District 5), Carla Smith (District 1), Amir Farokhi (District 2) and Jennifer Ide (District 6) hosted More MARTA’s third community forum at the Virginia Highland Church on Aug. 15. Public opinion has prompted the More MARTA Atlanta program. City of Atlanta residents had passed the More MARTA Atlanta half-penny sales tax, which will generate around $2.5 billion for transit expansion and enhancement plans for the next 40 years. Since, commuters have expressed overwhelming interest in BeltLine rail. The More MARTA Atlanta program has been Atlanta’s effort to accommodate a fast-rising population. According to the U.S. Census report, the Atlanta metro area gained nearly 90,000 transplants between 2016 and 2017. With a growing population, the third of the four MARTA forums have helped direct MARTA’s planning for its riders. Practical transit expenditure has grown more pertinent due to a 2.6 percent decrease in MARTA’s passenger trips in 2017—the second consecutive year of ridership decline. 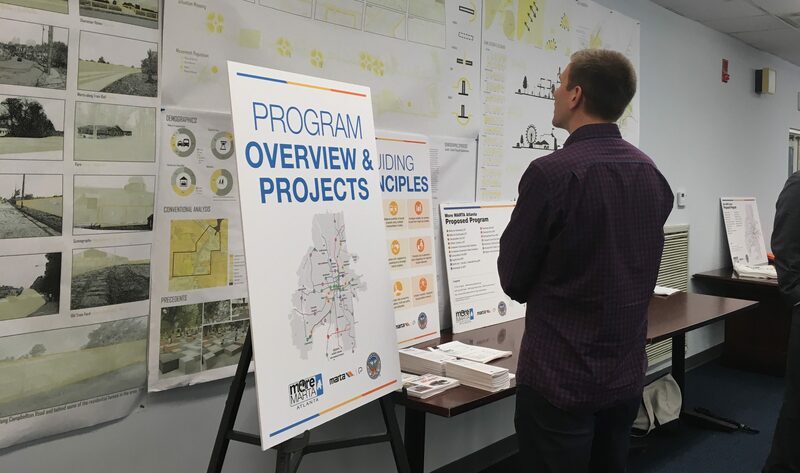 The proposed program aims to serve 126 neighborhoods, increase job access by 56 percent, improve transit service to neglected communities by 61 percent and provide access to more than 70 healthcare facilities, 83 grocery stores and 116 schools and universities. MARTA will spend $2.5 billion over the next 40 years and the Council have been voicing their District concerns at each forum regarding expansion. Amir R. Farokhi, District 2 councilman, oversees the Georgia State area in Downtown in addition to Midtown, Old Fourth Ward, Inman Park, Poncey-Highland and Candler Park neighborhoods. Yet, as with previous More MARTA forums, Atlanta commuters have been abuzz with concern for overlooked transit modules. Concerns shoot back to 2016, as seventy percent of respondents in a MARTA survey expressed a desire for rail along the BeltLine. Atlanta BeltLine recently purchased the remaining railroad corridor for $6.3M, which is needed to complete the loop. The inactive rail corridor, known as the “Kudzu Line,” has potential for the BeltLine to initiate rail service if the MARTA board deems it economical. In addition to stakeholder input, More MARTA claims data analysis and performance measurements influence their proposed transit projects. According to a MARTA survey and report, the top five MARTA priorities for commuters have been increased bus frequency and hours of service, Atlanta BeltLine transit development, Atlanta Streetcar expansion and heavy rail expansion. The “Most Favored” section of the report indicated BeltLine rail as the most popular project. The More MARTA tax can cover BeltLine rail, so commuters in favor of BeltLine rail hope to see their vocalizations realized.